Report says Trump's son-in-law and senior adviser continued to have private conversations with Saudi Crown Prince after Khashoggi murder. The New York Times reported on Saturday that US President Donald Trump's son-in-law and senior adviser, Jared Kushner, continued to have private conversations with Saudi Crown Prince Mohammed bin Salman following the murder of journalist Jamal Khashoggi. According to the newspaper, which cited a Saudi source familiar with the conversations, Kushner offered the Crown Prince advice "about how to weather the storm" following the death of Khashoggi. The report further said that Kushner and bin Salman continued to chat informally after Khashoggi's death despite the fact that White House protocol stipulated that National Security Council staff be present on all phone calls with foreign leaders. A White House spokesman told the Times in a statement, "Jared has always meticulously followed protocols and guidelines regarding the relationship with MBS and all of the other foreign officials with whom he interacts." MBS refers to the Crown Prince by his initials. White House officials declined to explain those protocols and guidelines to the Times or to comment on Kushner's one-on-one communications with bin Salman since the killing of Khashoggi. Saudi Arabia has admitted that Khashoggi was killed after entering the consulate in Istanbul, after previously denying Turkish claims that he was murdered. At the same time, the Saudi leadership claimed Khashoggi was killed in a “rogue” operation and denies any connection to the murder. Even after the CIA's assessment, Kushner emerged as bin Salman's most important defender, arguing that Trump needs to support the crown prince because the Saudis remain a key component to the Trump administration's Middle East policy, the Times reported, citing people familiar with the deliberations. 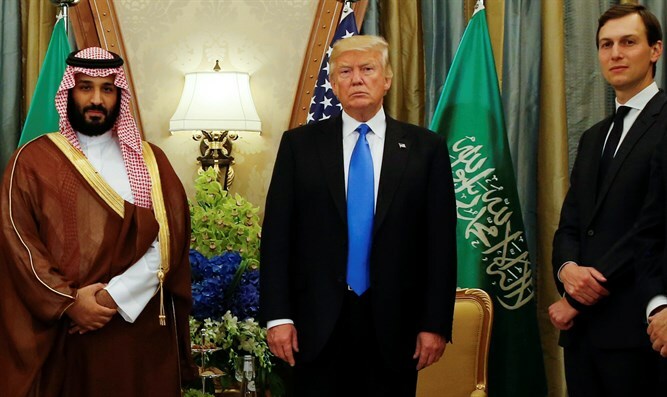 Trump has reaffirmed his support for Saudi Arabia, despite the murder of Khashoggi, insisting the US-Saudi Arabian alliance is beneficial not only for American interests, but also for those of Israel. Some US lawmakers, meanwhile, have called for a strong US response to Khashoggi's murder.